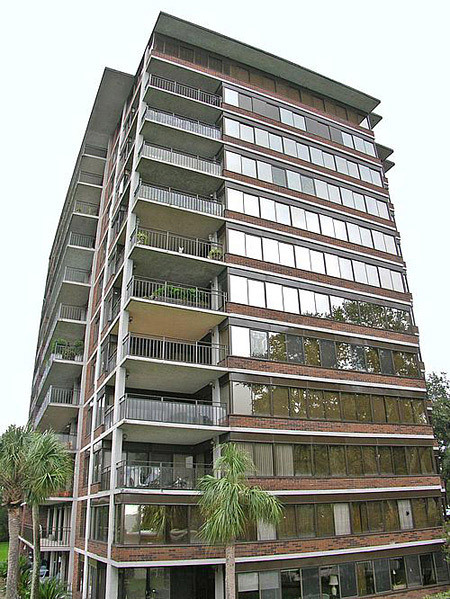 6000 on the River Condominiums in Jacksonville, Florida. 6000 On The River is a gated riverfront condominium community located in San Jose, a popular area for young professionals who want a short commute to work. San Jose is close to downtown and the Beaches. The area features boutique shopping, entertainment, private country clubs and private schools along San Jose Boulevard. Residence at 6000 On the River enjoys water living at its best with panoramic views of St. Johns River, elevator, clubhouse, pool, fishing dock, garage parking and additional parking space.